As a training exercise or a short physical and mental warm up, two short Micro O’ will be set up near Registration. 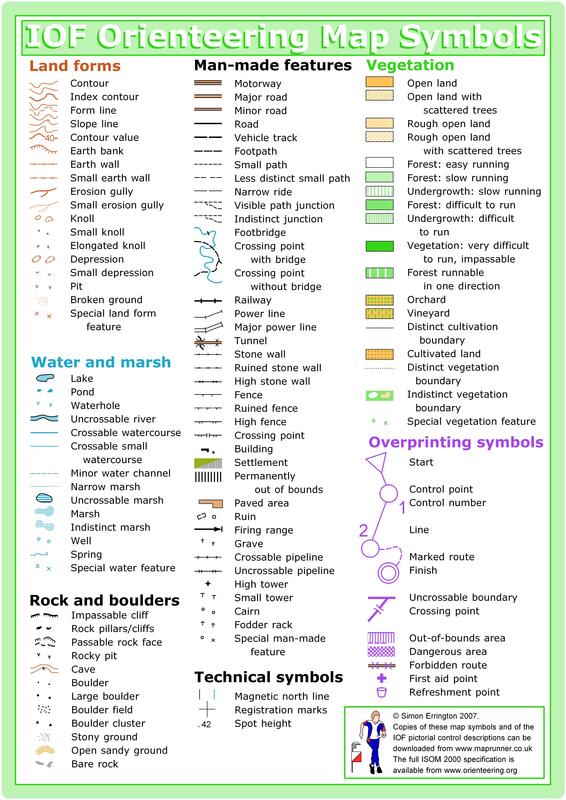 This will be a self-service activity and you will need to print your own maps [2018 Hamlin Micro O] and description sheets [2018 Hamlin Micro O_descriptions]. There is also a brief write up on how to use Micro O’ to practice “flow” [Micro-O-How-To 20180214]. The course wasn’t field checked so there might be minor discrepancies. Also, the codes on the pin flags will not match the codes on the control descriptions (for reasons that Mike finds too embarrassing to reveal). Be very careful around moving people and vehicles! If you have questions (or suggestions), please see Mike Schuh – he’ll be working the first shift of Beginner Instruction somewhere near Registration. On the Hamlin map North is not orientated to the top of the sheet of paper. We could not fit the map on the paper if we did this. The thick red line is North on the map as usual and the blue North lines point to the red line. Participants will have to turn the map to the left to have it actually oriented North. Winter League #2 is a wonderful blend of hilly terrain in Hamlin Park, the campus areas of Kellogg Middle School and Shorecrest High School and the trails of South Woods Park. Hamlin Park and South Woods Park are patches of urban forest with a varied history. Named for the Hamlin family who homesteaded the area in the 1800s, the land was logged, developed as a naval hospital, and later transferred to the state. 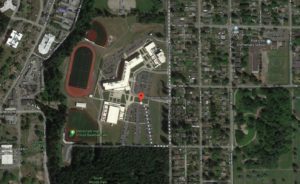 The schools and community rallied to save the property from development in the ‘90s, and Shoreline purchased the land for the parks in 2007. The forest is mature and mixed, with varied terrain and both native and invasive undergrowth. There is an out of bounds restoration area in Hamlin Park west of the baseball fields. There will be a restoration work crew in the north of the park on Saturday. Please do not interfere with their work. The high school track is also out of bounds so plan your routes accordingly. The South Woods has a large number of controls, so be sure to check the control number before you punch. 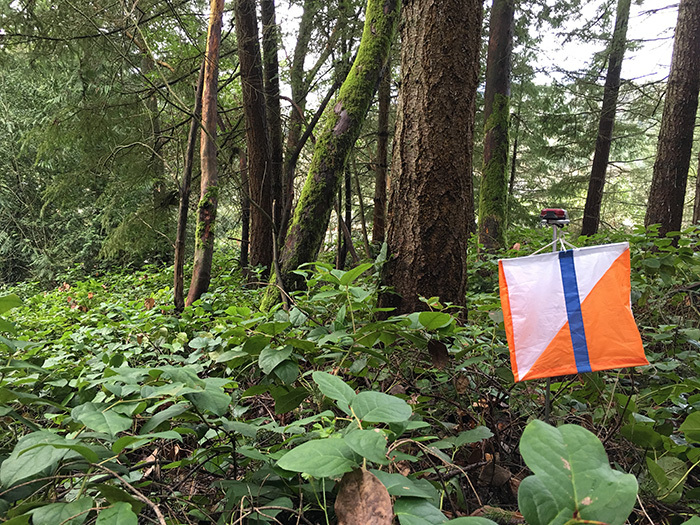 The Beginner/Elementary course has more controls than usual, however, they are spaced closely and designed to ensure our newest orienteers know they are headed in the right direction. Middle and JV level courses are an exciting mix of sprint terrain and forest running, making route choice around buildings and fences important. Varsity includes longer forested legs which create route choice challenges in complex trail networks. Thumbing is critical here. Long advanced includes a map flip. As always, come prepared, enjoy your run and remember to download. Those participating in School League (WIOL) will be provided a specific start time, and should show up at the tent several minutes before their designated time. Students with a season pass, use the button above to RSVP for this meet by Tuesday November 13 at Noon. Online pre-registration closes Thursday November 15 at 9pm. Day-of-event registration is by cash or check only. Take the NE 145th St. exit, then head east on NE 145th St. to NE 25th St. Turn left (north) onto NE 25th St. Please park at Shorecrest High School. Parking is free. With its combination of varied contours and runnable forest, Hamlin Park was one of our favorite training maps for years. The contours remain, but the park has increasingly focused on planting new forest undergrowth–perhaps necessary in a popular city park that gets constant foot traffic. So today most contour recognition happens from the trails.